Shop our large assortment of adjustable height folding tables in a variety of shapes, sizes and materials to find the right style for your needs. Plastic: Plastic adjustable folding tables are typically lightweight for easy transportation. They are also weather-resistant and less expensive than other options. Wood: These tables usually have a laminate finish to protect against weather damage and staining. While wood adjustable height folding tables are usually more expensive than plastic, they're one of the strongest and most durable types available. Particleboard: An affordable and practical choice for light to medium use, particleboard folding tables are comprised of wood particles that are pressed together. The tables often have a laminate or melamine coating that allows for easy cleaning. Pedestal legs: Single or double post legs with integrated wide ends help support weight distribution for rectangular tables. Roman legs: Two straight posts without connection rungs help provide extra leg room and storage underneath the table. Wishbone legs: Two posts that curve outward at the ends help support the weight of large, round adjustable folding tables. Ladder legs: Two straight posts with connection rungs at the bottom help promote the stability of tables with smaller widths. 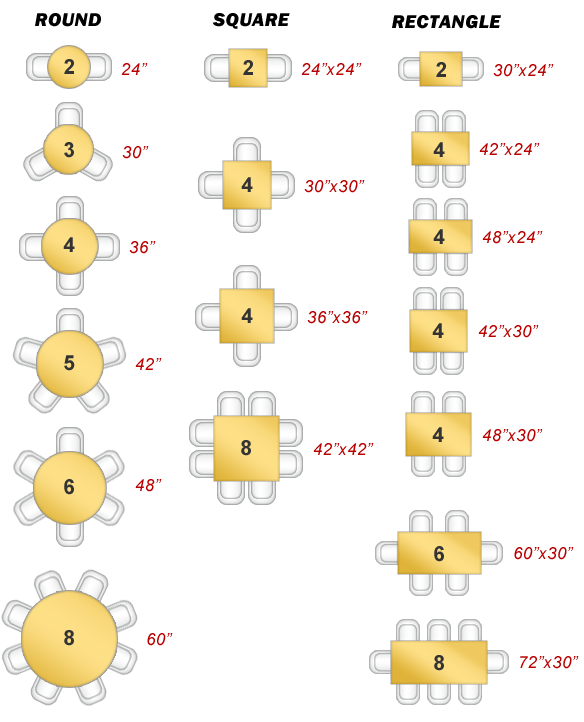 Folding tables may feature adjustable or fixed heights. Folding tables with adjustable legs can be set at different heights to accommodate all types of purposes. These tall folding tables usually adjust in 1-inch increments ranging from 21 to 32 inches. When purchasing an adjustable folding table, think about how – and how often – you’ll need to transport it. Consider the weight of the table and whether you'll need specific design features like the ability to fold the table in half. If you’ll need several folding tables to support your events, browse our collection of stackable, fold-in-half designs that can help you fit multiple tables in the trunk of your car. Models with convenient carry handles can also help make transportation to and from special events easy. Many of our adjustable height folding tables are stocked and ready to ship. Shop BizChair now to find the best folding tables with adjustable legs for your business, family get-togethers or other events.